Public subsidy of preventative health technologies is often justified based on the positive externalities generated by interrupting disease transmission. In the case of technologies that require active use to be effective, fully subsidizing inputs may not be sufficient to generate the desired externality. On the other hand, charging non-zero prices may screen out many of those who would use a product. This results in a tradeoff between errors of inclusion (people receive a health good but do not use it), and errors of exclusion (positive pricing screens out too many people and the health externality is under-provided). Ordeal mechanisms, under which individuals are required to expend effort to acquire such a good, can be used to target health inputs to those more likely to use them. We ran an experiment with over 1,500 households sampled through rural health centers in western Kenya. In two treatment arms, chlorine was given directly to households, while in another, households were given coupons which could be redeemed for chlorine at a local shop over the course of a year. A third arm served as a control. We compare chlorine usage across arms both in the short run, while households were using the chlorine received through the study, and 2.5 years after the intervention, by which time the free supply had presumably been exhausted. We find that in the short term, there is no difference in rates of usage between those who were required to redeem coupons, compared to those who were given chlorine directly. We also find that chlorine use remains elevated among those who received coupons a year and a half after the end of the subsidy, whereas those given either a small or large sample of chlorine directly showed no effect. 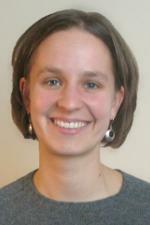 Professor Hoffmann received her Ph.D. in Agricultural Economics from Cornell University in 2008. In August 2008, she joined the Department of Agricultural and Resource Economics at the University of Maryland. Her current research focuses on development economics, health economics, and experimental economics.